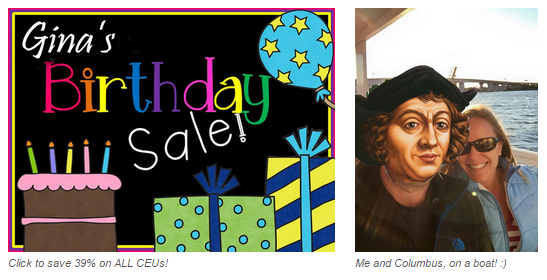 Columbus may have sailed the ocean blue, but I talked the boss into celebrating my birthday (and Columbus Day) with 39% off ALL CEU courses! No minimum and no maximum, just BIG savings all weekend @ www.pdresources.org! Your discount should automatically apply at checkout – but if for any reason it doesn’t, just enter coupon code Ginabus2015 and click update to apply. Offer valid on future orders only. No additional coupons/offers apply. Sale ends Monday, October 12, 2015. 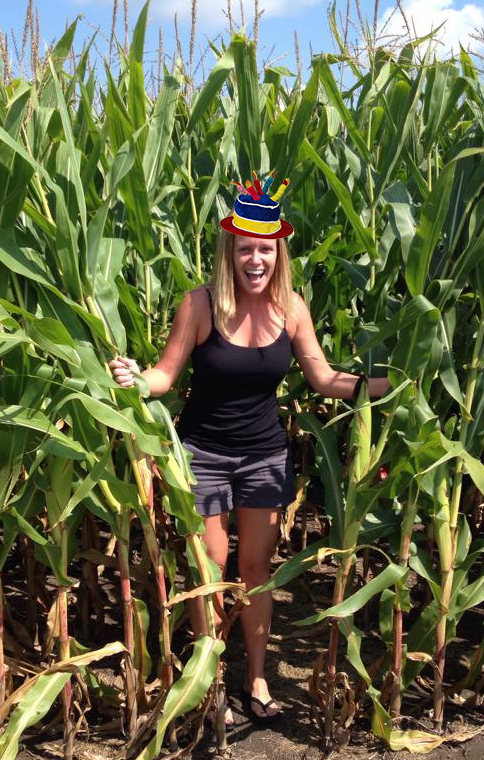 Celebrate my birthday with us and save 25% on all continuing education (CE/CEU) courses all weekend! 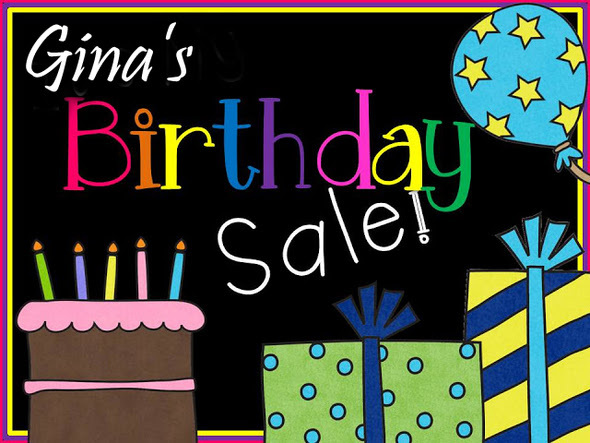 The discount will automatically be deducted at checkout – but if for any reason it doesn’t show, just enter coupon code Gina37 to apply. Sale ends at midnight on Monday, October 14, 2013. Click here to shop! Professional Development Resources is approved to offer continuing education courses by the American Psychological Association (APA); the National Board of Certified Counselors (NBCC); the Association of Social Work Boards (ASWB); the American Occupational Therapy Association (AOTA); the American Speech-Language-Hearing Association (ASHA); the Commission on Dietetic Registration (CDR); the California Board of Behavioral Sciences; the Florida Boards of Social Work, Mental Health Counseling and Marriage and Family Therapy, Psychology & School Psychology, Dietetics & Nutrition, and Occupational Therapy Practice; the Illinois DPR for Social Work; the Ohio Counselor, Social Worker & MFT Board; the South Carolina Board of Professional Counselors & MFTs; and by the Texas Board of Examiners of Marriage & Family Therapists and State Board of Social Worker Examiners.